The original whisky glass taken to a whole new level by Crystal Imagery. fter winning the 2006 Queen's Award for Innovation, the Glencairn scotch whisky glass has earned its title as the "official whisky glass" by the experts. Glencairn offers scotch whisky connoisseurs a special glass to appreciate all of the whisky's fine nuances. Comfortable in the hand, it has a full bowl that tapers at the mouth to enhance color, body, aroma, taste, and finish. The Glencairn glass 2.5 inches wide and 4.5 inches tall and holds up to 6.5 ounces. 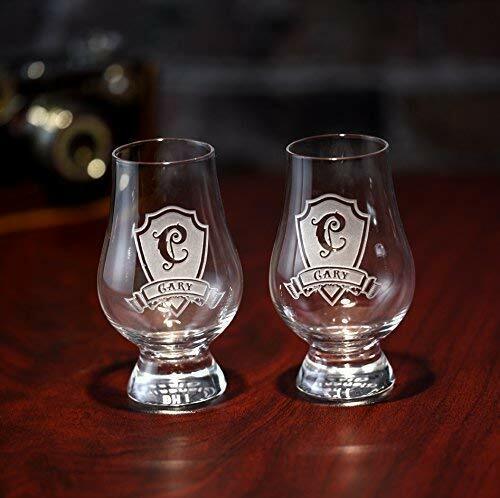 If you have any questions about this product by Crystal Imagery Engraved Glass Barware Gifts, contact us by completing and submitting the form below. If you are looking for a specif part number, please include it with your message.